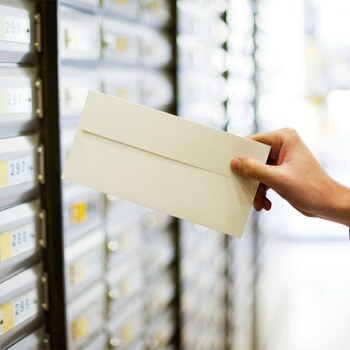 Most business mailrooms, particularly if the business is a large shipper or a major company, can’t leave the mailing to only one person. And then, there are those people who need access to the account, but who don’t need total access. With a Stamps.com Multi–User Plan, you have complete control over who uses your company’s Stamps.com account and how they use it. Once you sign up for our Multi-User plan, you can add users to your account. Every user you add is a subsidiary account with a unique username and specific access rights. All you do is create the name and rights, and we handle the rest. We’ll automatically send your users a welcome email that gives them info on how to join your account, and gives them a brief tutorial on using the service. If, for whatever reason you need to remove users from your account, you can do this easily with a few clicks of the mouse. Saves time: You can allow multiple people in your organization to print postage simultaneously from one Stamps.com account and postage balance. This saves time for both your network administrators and IT department as well as your accounting department. Set individual access levels: As the owner of the account, you are the administrator, with full power over who can buy postage, who can print postage, who can order supplies, and who can add, edit or remove other users. You can require your users to use cost codes when they print to track their spending, and even limit the amount of postage they can print at one time. 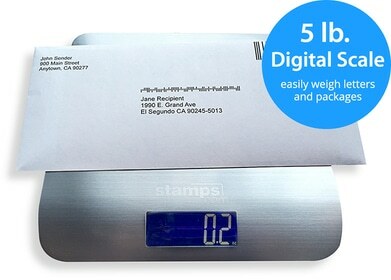 Total control over your company’s postage remains in your hands. Scales with your business: As your business grows, and more people need access to the account, you can expand the number of Stamps.com users. You can add up to two additional users (for a total of three users) right from our software. If you need more, just give us a call and we’ll be happy to assist you with as many as you need. We encourage you to call us for immediate assistance toll-free at 1-888-434-0055, Monday – Friday, 6 a.m. – 6 p.m. Pacific Time.